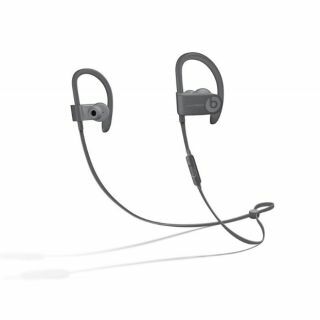 Save over 50% on Beats Powerbeats 3 wireless earbuds | What Hi-Fi? Beats can't be beaten on street-cred value when it comes to headphones, and its top-end Powerbeats 3 sport earbuds not only boast a winning aesthetic but also a lightweight, sweat-resistant, workout-friendly build and impressive 12-hour battery life. Apple's Beats division announced the Powerbeats 3s in October 2016 for $200 - a price which hasn't been discounted all too often in its lifetime. That said, Amazon is now offering the Brick Red and Turf Green finishes for just $89.99, with the other finishes in the 'Neighbourhood Collection' (Asphalt Grey and Break Blue) only $99.99. Best Buy is also offering the black and white variants for $99.99, with refurbished models going for as little as $64.99. You can see all the Beats Powerbeats 3 deals below.